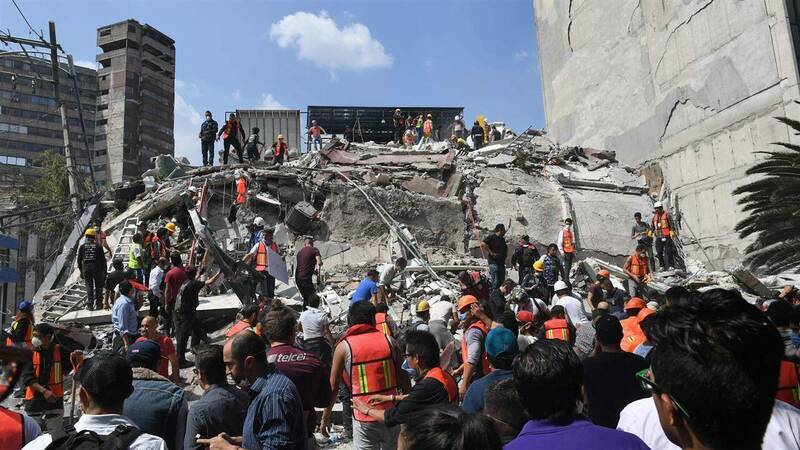 A magnitude 7.1 earthquake stunned central Mexico on Tuesday, killing more than 200 people as buildings collapsed and thousands fled into the streets in panic. Dozens of buildings tumbled into mounds of rubble in densely populated parts of Mexico City and nearby states. Mayor Miguel Angel Mancera said buildings fell at 44 places in the capital alone. 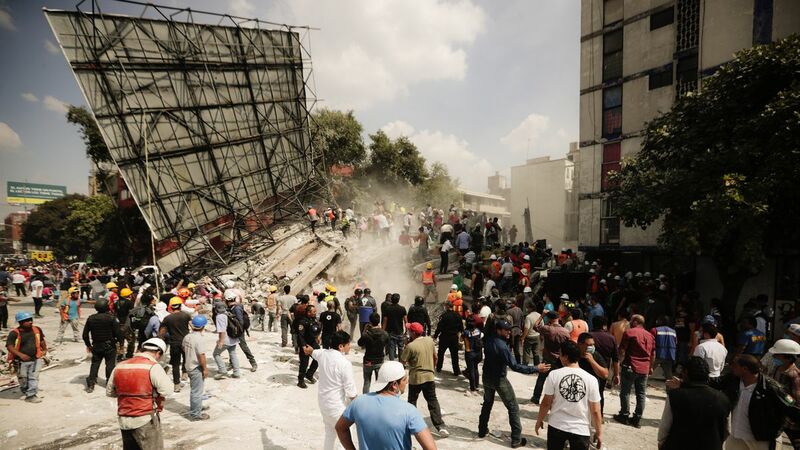 The quake is the deadliest in Mexico since a 1985 quake on the same date killed thousands. It came less than two weeks after another powerful quake left 90 dead in the country’s south. By yesterday night, Mancera said at least 30 had died in Mexico City, and officials in Morelos, just to the south, said 54 had died there. 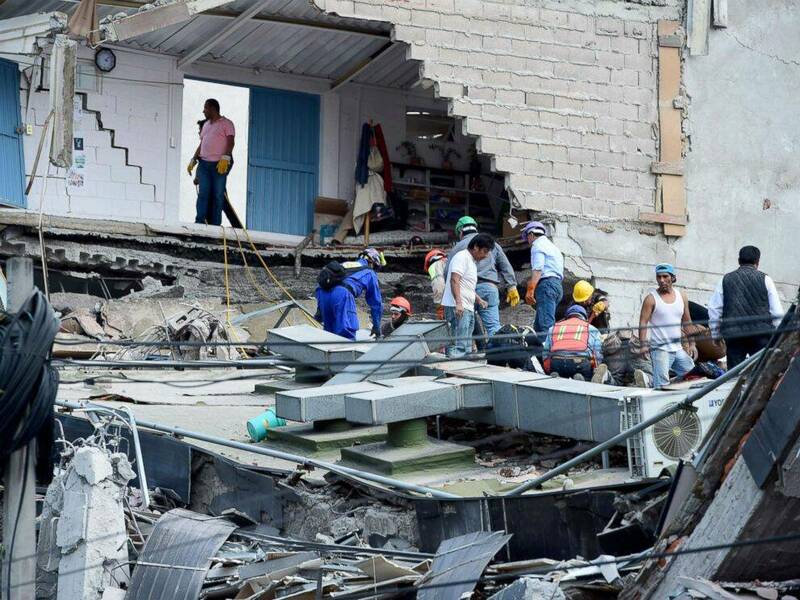 At least 26 others died in Puebla state, according to state disaster prevention chief Carlos Valdes. Gov. Alfredo del Mazo said at least nine had died in the State of Mexico, which also borders the capital. Mancera said 50 to 60 people were rescued alive by citizens and emergency workers.